Womens magazines are actively working to educate, inspire, and empower their readers with high-quality information about womens issues. 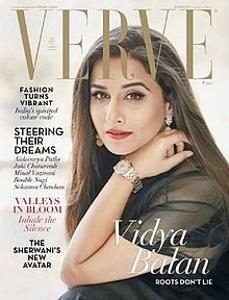 India’s Woman’s magazines are packed with relevant advice for today’s busy women, with sections on family, career, beauty, fashion, home, organization, and food. These are magazines that have been published primarily for a readership of women. The magazine was first published in July 1959. It has organized the Femina Miss India beauty pageant since 1964. Latest info and tips on fashion, beauty, health, fitness, food, travel, events, celebrities, entertainment and relationship advice. 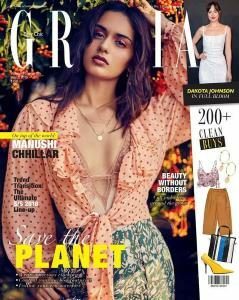 Popular women's magazine in India. Womansera magazine is a platform for women to get latest info and tips on fashion, beauty, health and relationship advice. Cosmopolitan magazine is one of the top selling magazines and is directed mainly toward women readers. Cosmopolitan has 64 international editions, and is printed in 35 different languages and distributed in over 110 countries. Indian edition of the monthly fashion and lifestyle magazine. The first issue of Vogue India was the October 2007 issue. Filmfare is an English language tabloid, ita about Hindi language cinema Bollywood. Bollywood News, Exclusive Interviews, Gossip, Classy Photoshoots, Filmfare Awards, Movie Reviews, Celebrity Photos, Bollywood Fashion Coverage and Special Features. India top women's fashion and celebrity gossip magazine. Fashion, news, beauty, entertainment and lifestyle, plus a lowdown on what's hot and what's not. India's premier women's luxury lifestyle monthly. Maxim is the Indian edition of the UK based international monthly men's magazine called Maxim. Malayalam Womens magazine offering latest articles on fashion, beauty, health, parenting, recipes, interview with celebrities and more. Parenting Helpful tips and advice to make parenting easier from pregnancy to graduation and everything in between. 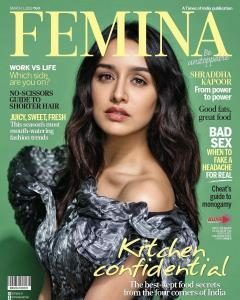 What is the best women’s magazine in India? 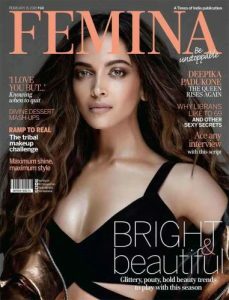 Femina, Woman’s Era, Elle India, Cosmopolitan India. India Women’s magazines educates and empowers indian women, with the skills and confidence necessary to create a healthy lifestyle, and regain a home for themselves and their children. In 1693 the first issue of the first women’s magazine in Britain, The Ladies’ Mercury, was published. In 1857 the first women’s magazine in Gujarati, Streebodh, was established by Parsi social activists.